I began to notice the emergence of this trend last fall. Sure, the blazer has always been around. 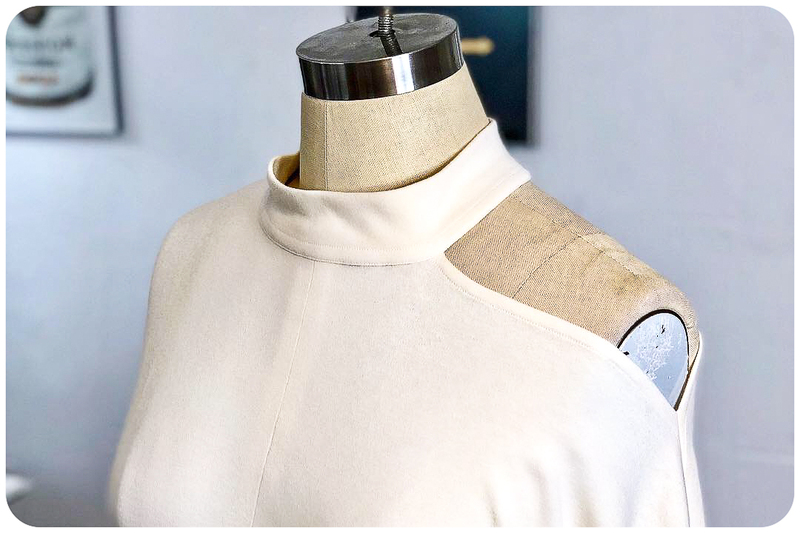 But it's usually the basic notched collar, single-breasted one-button style. 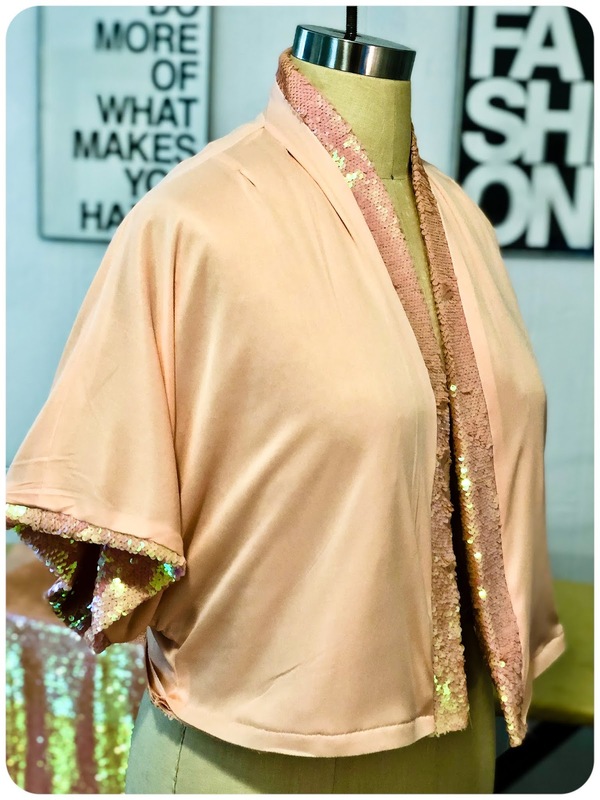 These reimagined iterations are everywhere for spring/summer 2019 in pretty pastels. And even on the fall/winter 2019 runways in beautiful textured textiles and plaids and checks... so, it's not going anywhere anytime soon. It's having a major moment, and as much as I love a tailored jacket, I'm going to milk it for everything it's worth. 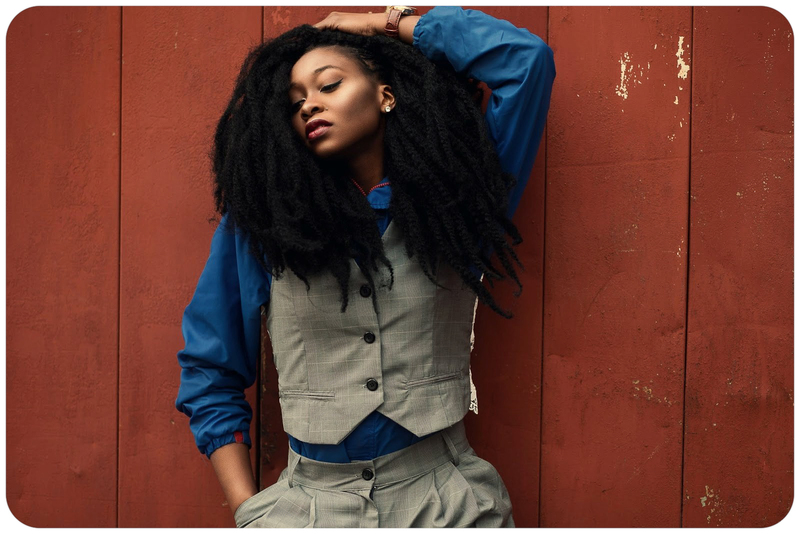 Trying to find a current double-breasted blazer pattern is damn near impossible. I searched high and low, only to find a couple of out-of-print vintage patterns on Etsy and eBay (that I bought). Then it occurred to me to see what the indies had to offer. I went over to The Fold Line for a search. And voila! I found something that would work. 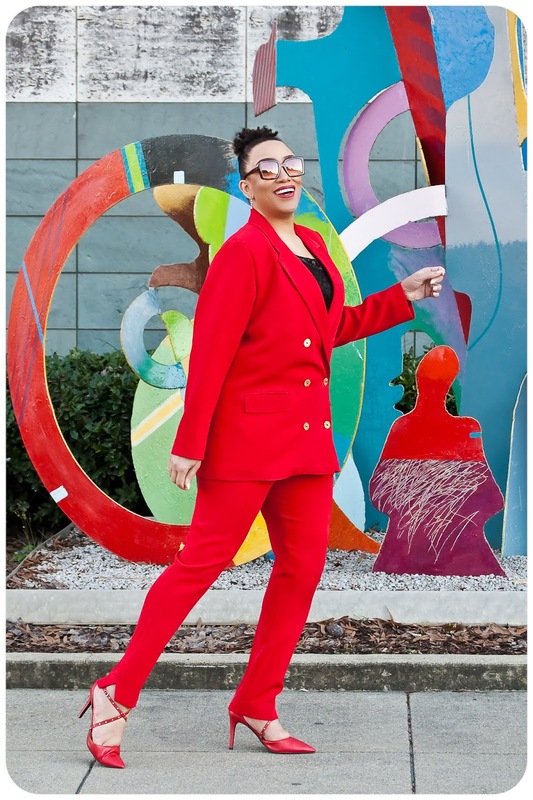 I picked the Style Arc McKenzie Blazer pattern. It wasn't quite what I was looking for. 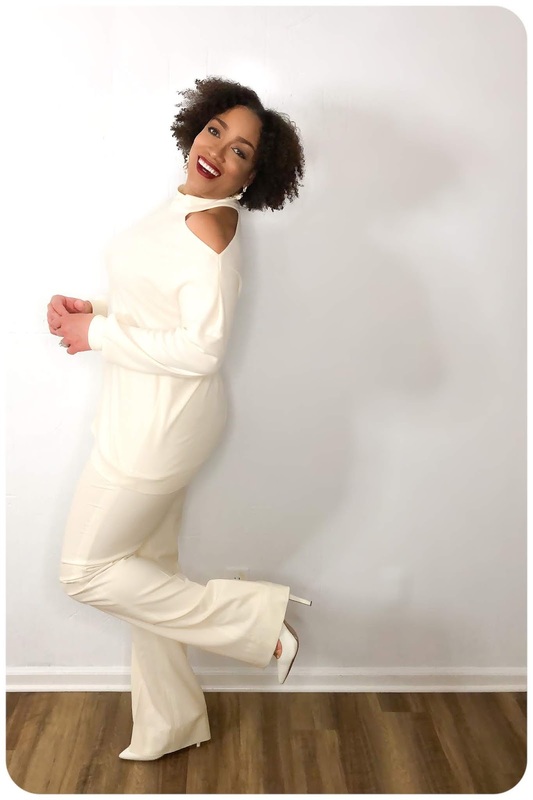 I really wanted a style that has princess seams that's tapered at the waist; a tailored back vent; surgeon's cuffs; peak lapels; and a breast pocket -- in a long length. Is all of that too much to ask for? Maybe it is. And maybe it's time I start producing patterns! It you want it, you need to create it. But nevertheless, I made this one work. And it was instantly available as a PDF download. And on the plus side, since it was meant to fit loosely, I sewed it without any alterations. So, that makes it a winner in my book. Minerva Crafts reached out to me and offered a few yards of fabric for a project. And this couldn't be more timely. I selected the Lady McElroy Sydney 4 Way Stretch Plain Crepe Suiting Dress Fabric. It is 94% Polyester, which means when you arrive at your destination, you won't look all wrinkled and creased. And it's 6% Spandex. 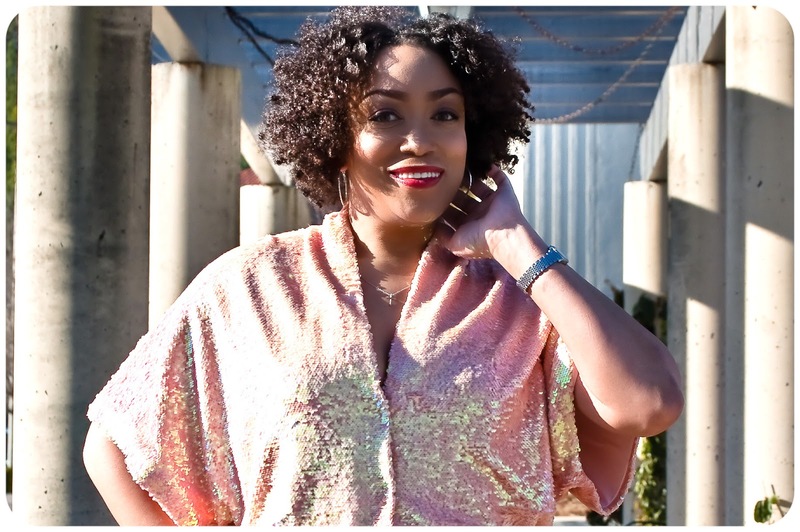 For fitted trousers, pencil skirts and body-conscious dresses, this is the most perfect crepe fabric that I've run across. I've found really good crepes in the past, but the color selections were nowhere nearly as vast as this offering. And it's heavy enough that lining your pants is not a requirement. Since this is a dry-clean only suit, I didn't wash the fabric. However, I did pre-shrink it in the drying using the steam method. It's been my experience working with stretch wovens that they'll sometimes shrink during the construction when the heat and steam are applied during pressing. So, I didn't want to take any chances. For the construction, I used a stretch needle and I used a pressing cloth. 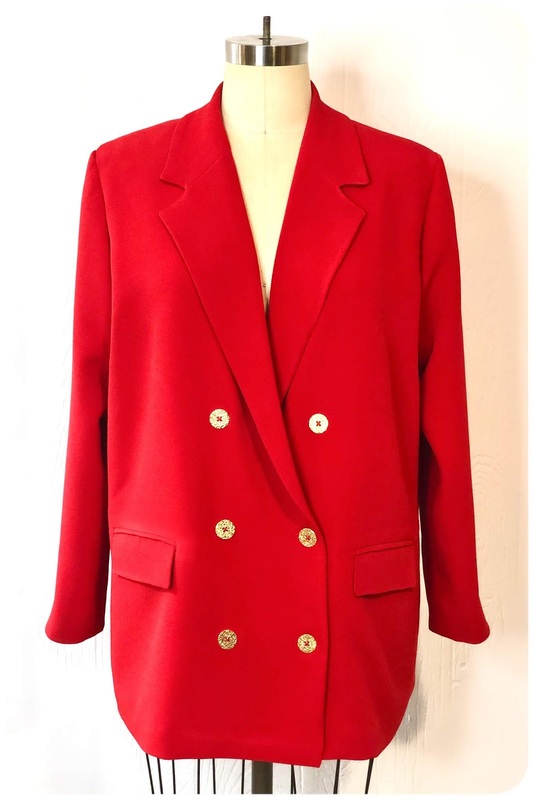 I used a Bemberg Rayon Lining and I love that the blazer is drafted with an all-in-one type of facing. It makes the inside look so good. This pattern calls for shoulder pads. I almost always make my own custom ones. Here is a quick tutorial that I created for Instagram. My only regret is that I didn't stop and modify the back with a tailored vent. I didn't even think about it until I was sewing. The drafting is wonderful. The instructions will probably not be of much use to you if you're a beginner and/or you've never made a jacket before, because there are no step-by-step pictures or illustrations if that's what you're accustomed to. But fear not! I have the perfect solution for that. 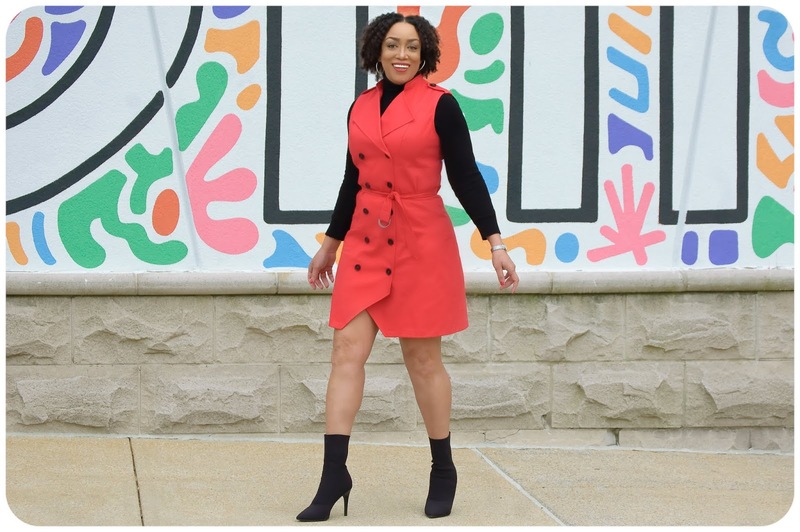 This pattern plus my Tailored Jacket Tutorial is a perfect match. 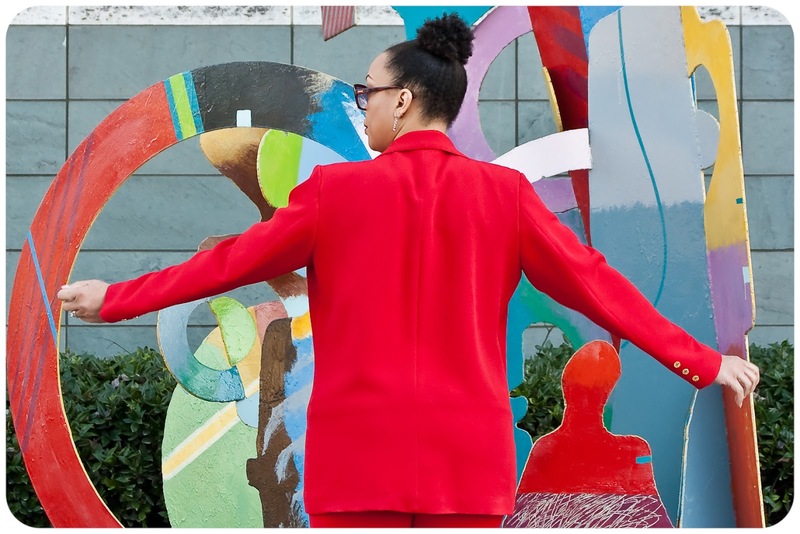 If you make a great jacket, why not a matching pair of pants? These are Simplicity 8749 and it's my second time making these. These days, I'm leaning towards tapered pants. I get double duty out of them because with their ankle grazing length, I can wear any height heels. So, y'all are going to need to bare with me. I'm going to be on a suit and jacket binge for a few months. Because this tailoring stuff is so addictive. One thing I can always appreciate is that fashion is super cyclical. What goes around, always comes back around. I can guarantee that! That's why I pulled out McCall's 6279, that's currently out of print and from years gone by. 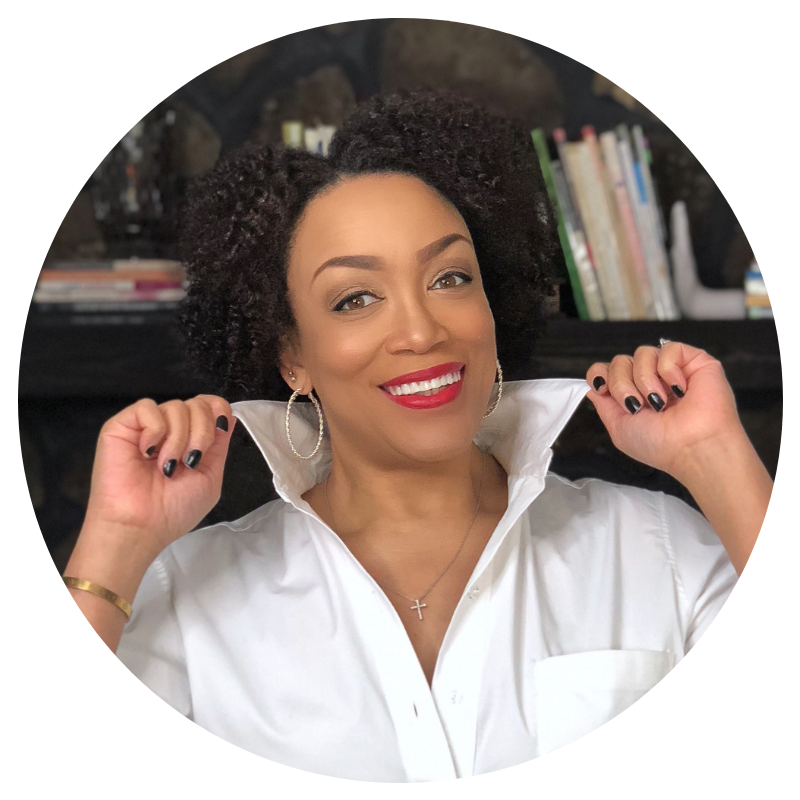 Because for Spring 2019, "Utility Dressing", and trench styles falls under that -- is one of the major trends. 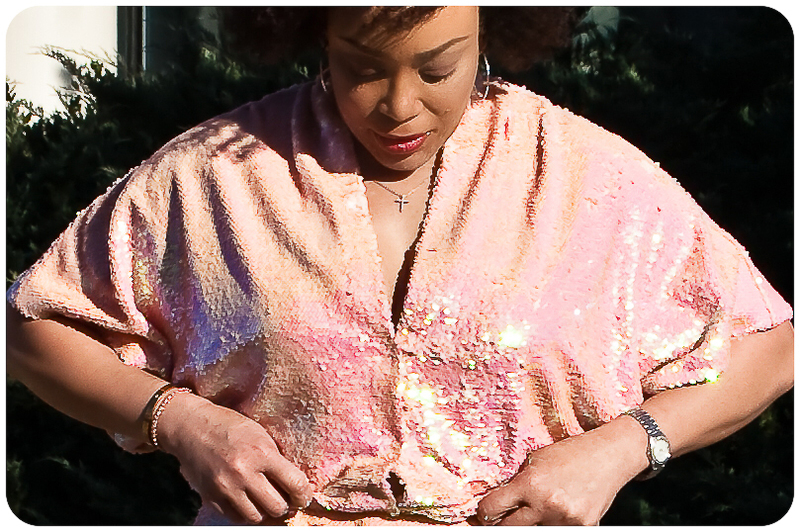 And even though I would always think of a trench style as classic, the fact that it's considered a trend gave me a reason to dig out a pattern that I've planned to sew for years, but never got around to it. 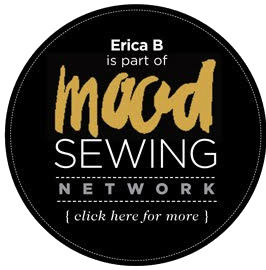 See all the details over on the Mood Sewing Network Blog! 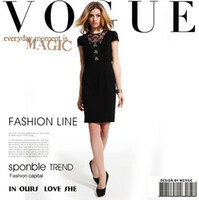 It seems like everywhere you look, the trend of the moment is tailored womenswear. 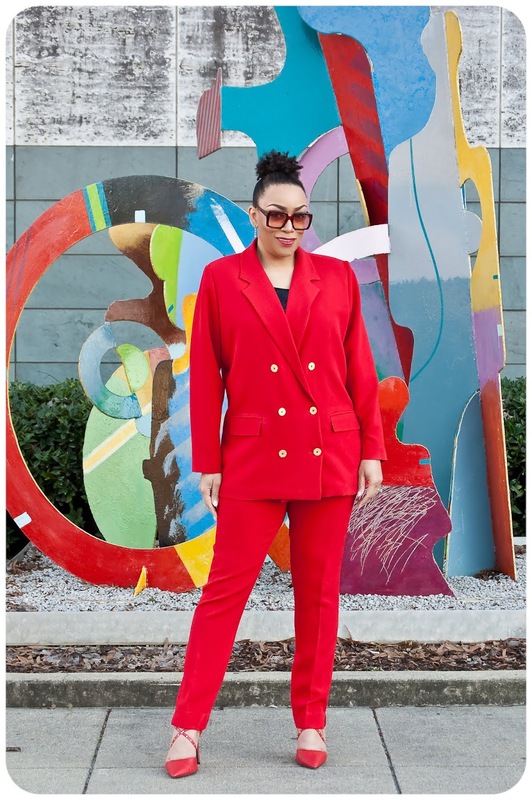 Pantsuits are back with a vengeance! However, trying to master the tailored womenswear trend isn’t always the easiest of tasks. 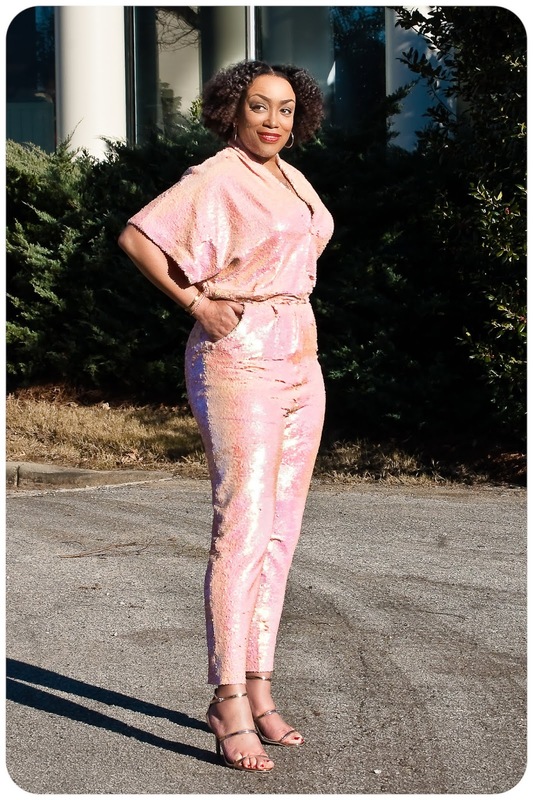 You need to find the right way to rock this look for you. Here are some top tips to ensure you look as chic as can possibly be. Whether you’re buying your clothes or sewing them yourself, it’s vital that you start scrolling for inspiration first. 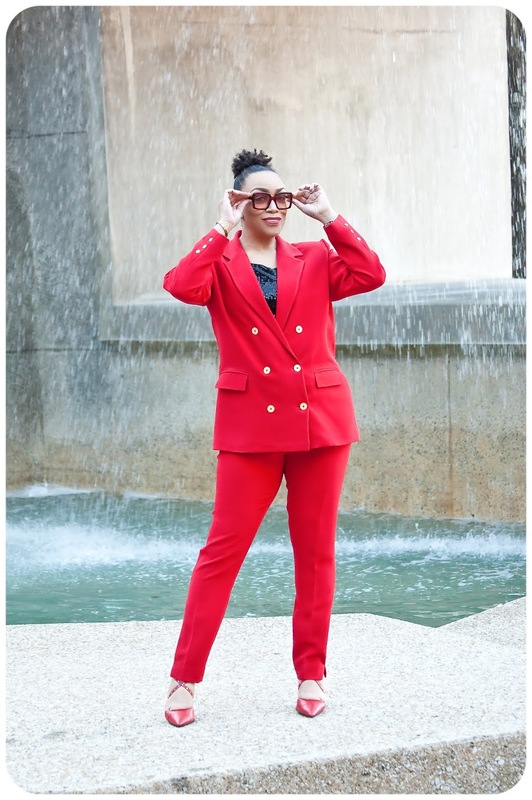 For example, when putting together my tailored jacket with double welt pockets, I had several images that I used as inspiration before I got started. This is the ultimate excuse to jump on Pinterest or spend a few hours flicking through magazines. Look at the styles and shapes, along with the patterns and colors. Make a mood board if you think it will help. Used to rocking a denim jacket in the spring? 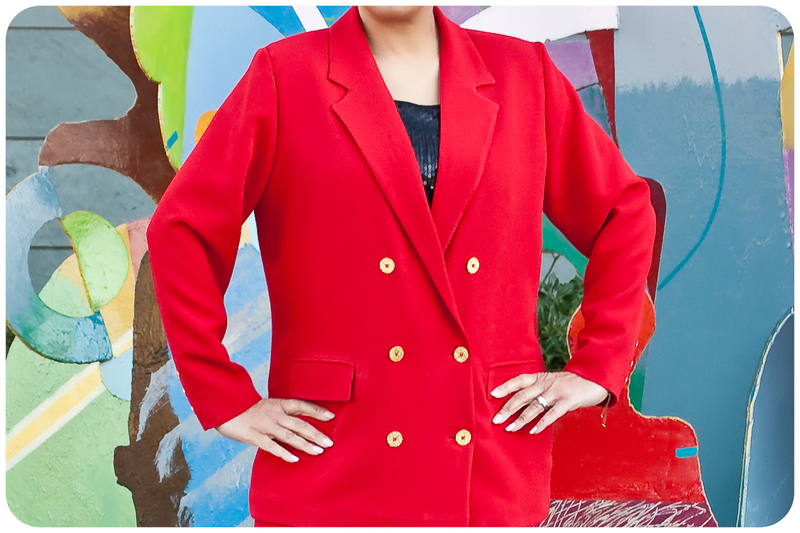 Simply swap it out for an oversized blazer. 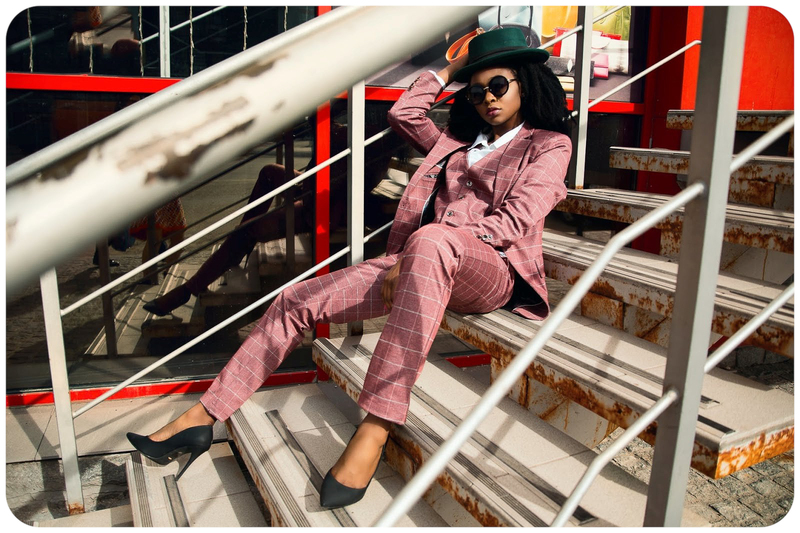 The best thing about the tailored womenswear trend is that you don’t have to go overboard. No one is saying you need to look like you’re about to go to work! 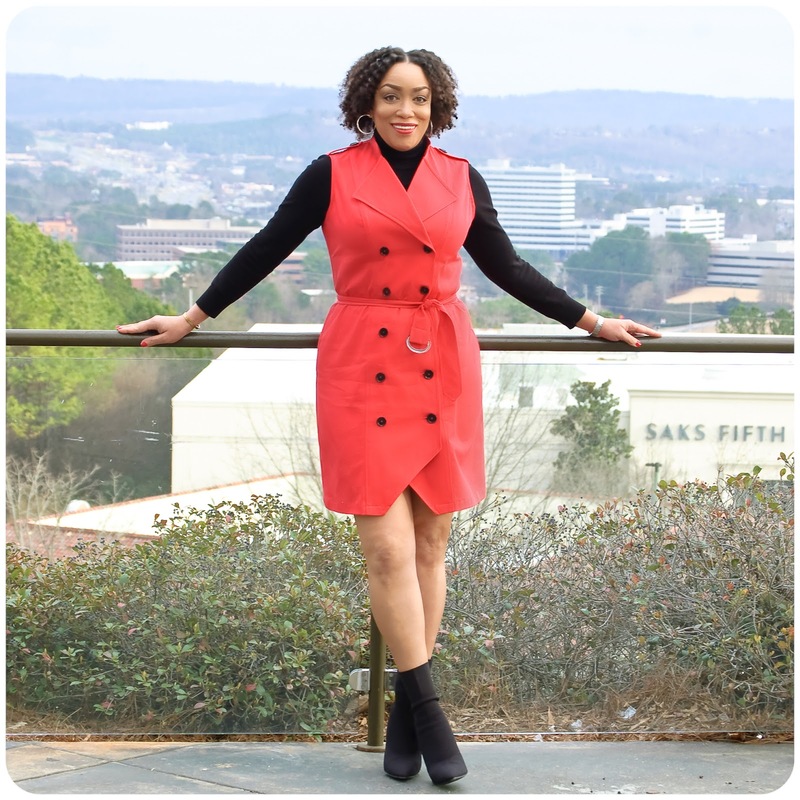 Instead, swap out some of your usual pieces with something more tailored to create your own personal style – women’s jackets are perfect for this. To pull off the tailored look, it’s all about the pants. You can play around with different styles, shapes, and colors, to bring your whole look together. For example, a pair of black, wide-legged women's pants will match with pretty much anything else in your wardrobe. Tuck in a white tee and throw on that blazer to look as if you have just stepped off the catwalk. 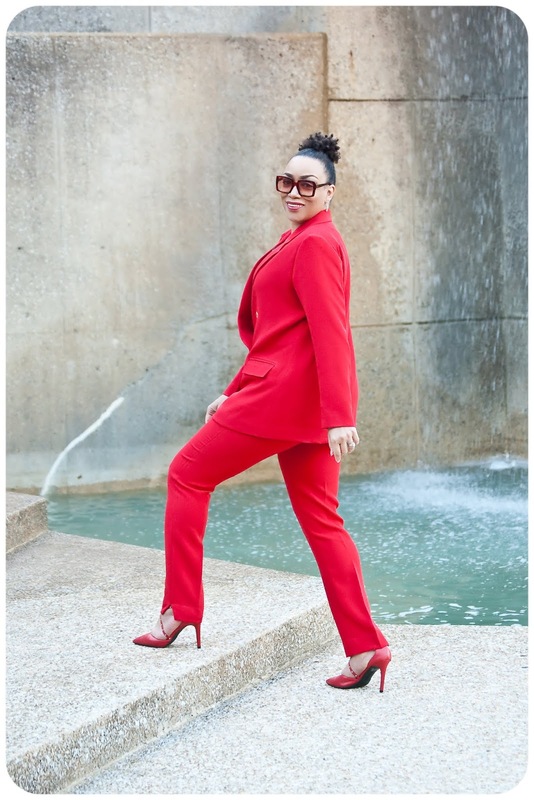 Alternatively, go bold with a bright yellow or red tailored pant. Got some old work shirts lying around that you don’t wear anymore? Why not bring them back to life? 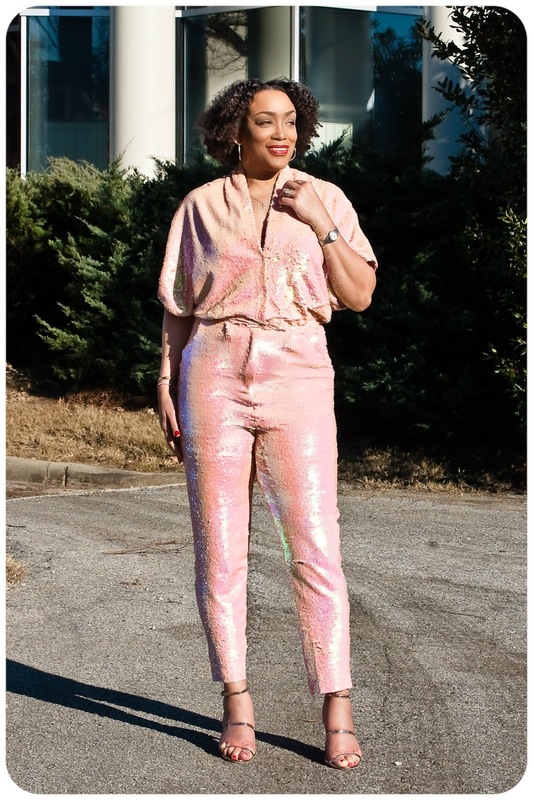 You can cinch them in at the waist to make them more fitted (or try a peplum look), change up the color from white to pastel shades of pinks and yellows, or even sew on some accessories. This way, you can keep the majority of your outfit plain, and let your shirt do the talking. 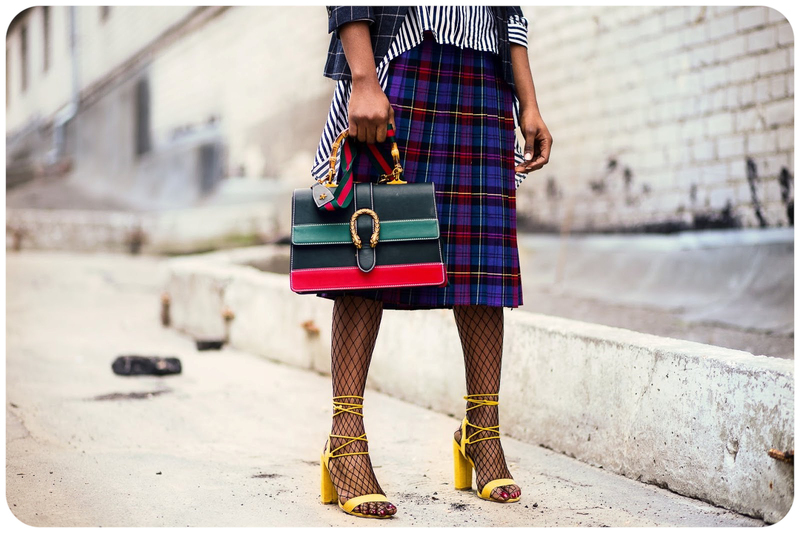 If you don’t want to play around too much with colors or patterns in the clothing items themselves, then you should consider adding something a little extra to your outfits using accessories. Keep your suit simple, with a plain white tee underneath, then go wild with layered necklaces or dangly earrings. It’s amazing how such little add-ons can elevate your tailored look. You’ll want to consider the shoes you’re going to rock with your new tailored outfits for more than one reason. Firstly, what kind of pant leg is going to look best with those shoes? Will a wide-leg swamp a dainty heel? Secondly, what about the color? 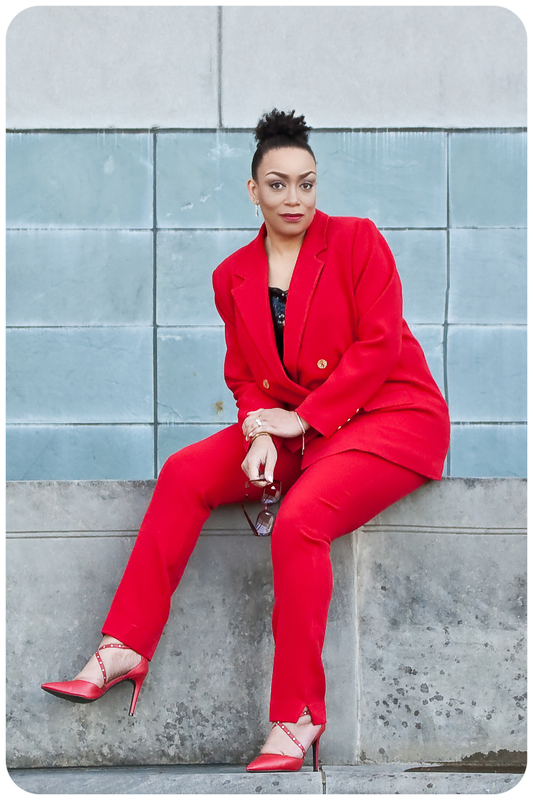 If you’re a fan of fluoro shoes or bright colored heels, then perhaps you’ll want to keep the colors and patterns simple on the suit itself. Always consider your outfit as a whole before you start sewing (or shopping). 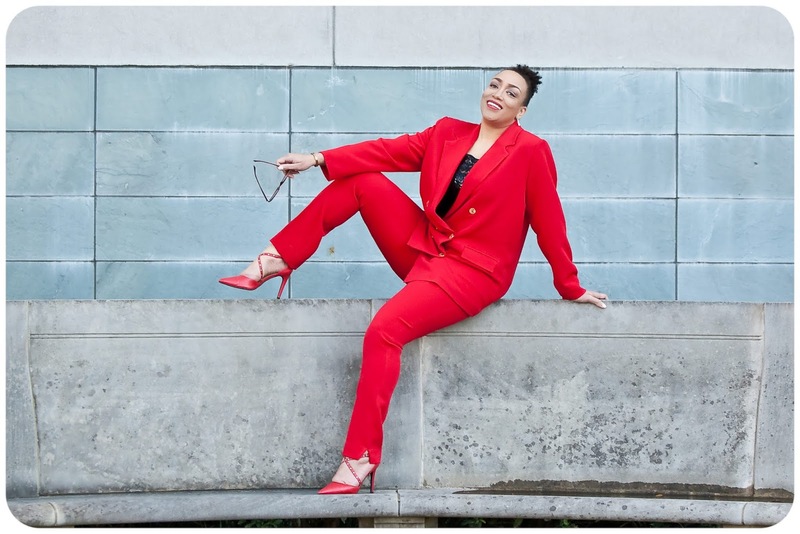 Tailored womenswear is making a big comeback, and it’s an exciting time for those who love making their own clothes and rocking the latest trends. Follow these tips to make sure you master both the sewing and the wearing of this iconic look. Any other suggestions to add? Drop them in the comments. 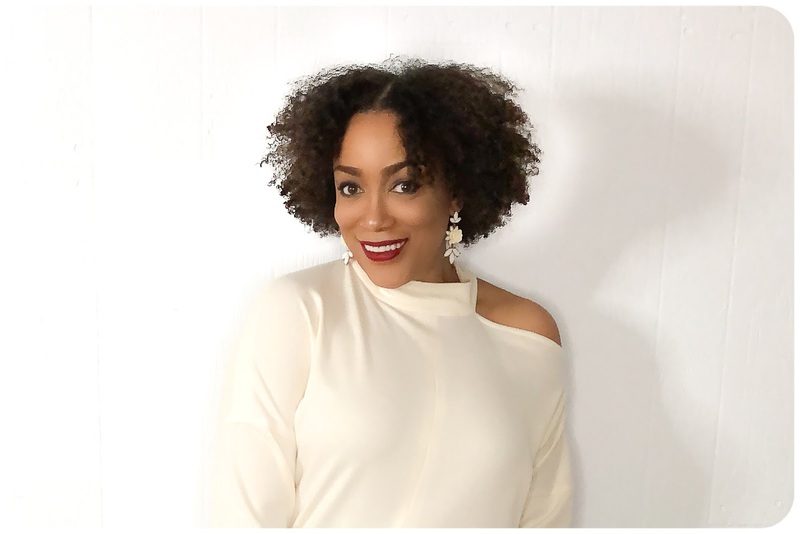 Review: McCall's 7836 - Cutout Mock Turtleneck Shoulder Sweater! I'm so late to the party on this pattern. I've seen so many wonderful versions. I knew I would make it when it was first released, because I'm always looking for cute, easy to wash and wear tops. And this one is perfect. 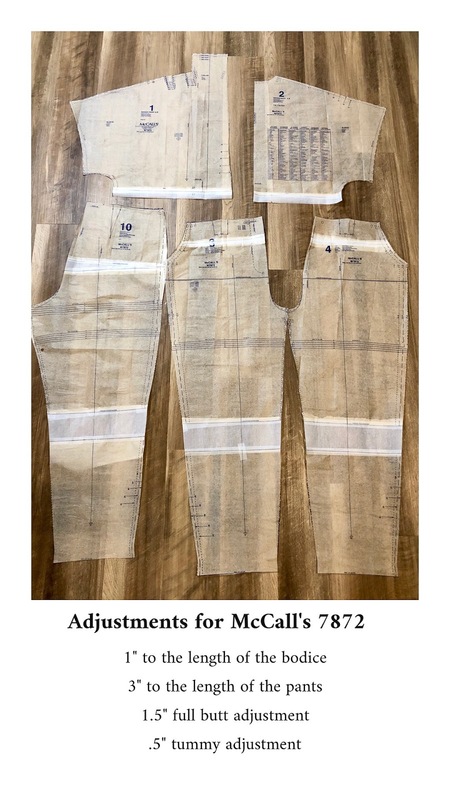 This is McCall's 7836. 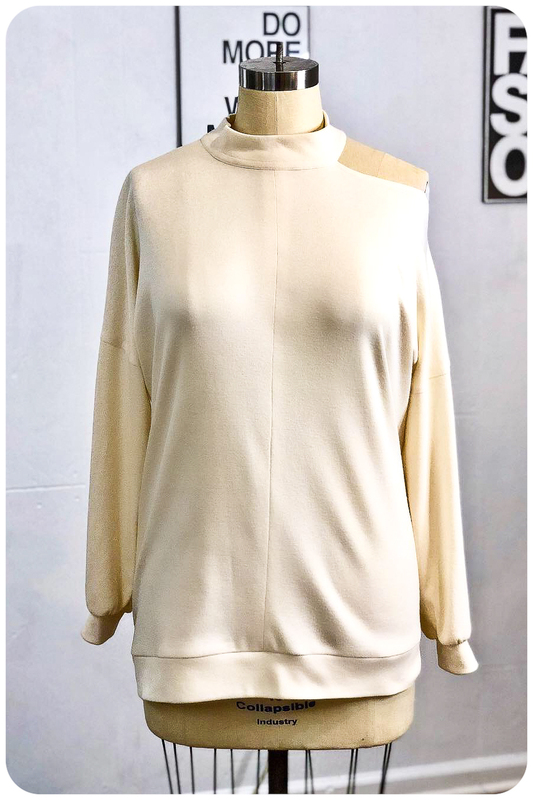 It's tunic length, with an asymmetrical one shoulder cut out and a mock turtleneck. It's a great alternative to a plain sweater or basic sweatshirt. 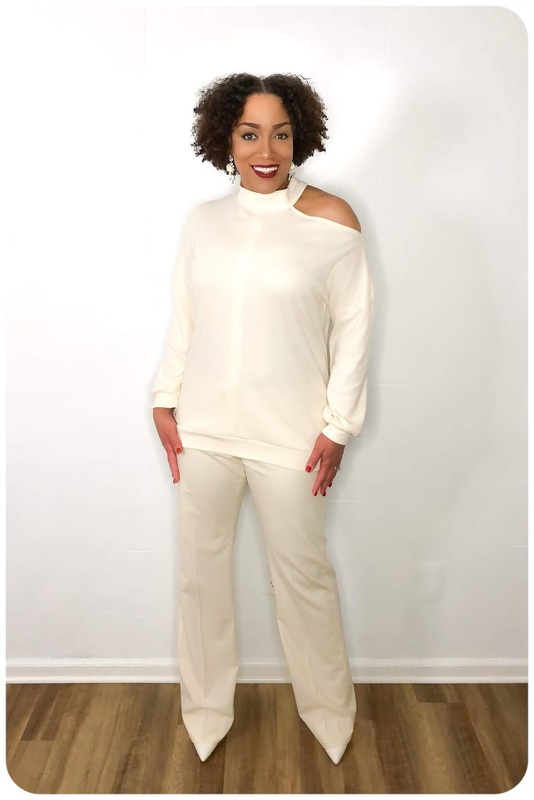 My fabric is an ivory ponte knit with stretch. I emphasized that because a lot of them are stable knits with no spandex/lycra. I like for mine to have stretch for the sake of "recovery". I wouldn't want this to bag out at the elbows and the bottom, since I'll obviously be sitting will wearing this. I picked this one up at Joann's. I cut the 14 and graded to a 16 at the bottom. I decided to add a band because I knew I'd want to wear this untucked and I just didn't like the way it hung. I took in the shoulder cutout by an inch. When I put it on, I found that it was gaping somewhat right at the collarbone. Enough to make me feel like if someone was standing over me as I'm sitting, they could look down my top. And I want to be comfortable in my clothes. I don't want to feel fidgety or have to always be adjusting. This was such a quick project that I wish I'd bought more of this fabric in multiple colors. I hope I get around to make at least one in black and possible gray. These are great throw-on-and-go tops that will work perfectly with trousers, jeans and even leggings! 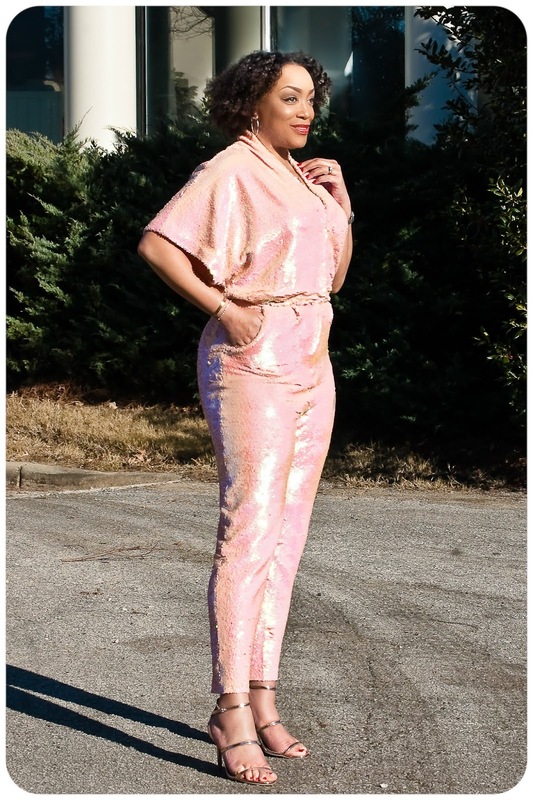 Review: McCall's 7872 - Sequined Jumpsuit! I'm officially feeling like it's 2019. Every year, I tend to take the entire month of January to acclimate to the new year. All of those goals and new year resolutions kind of stay shelved until February. I guess that's just how I'm wired. I feel like I'm coming out of my seasonal funk... the one that makes me want to cuddle up with a good book (I've been reading A LOT - find me on Goodreads.com) and great wine. I've also been binge watching shows and I'm currently rewatching "Game of Thrones" before the new season starts. It's amazing how much more cohesive the stories flow when you're watching everything back to back. So now, I have that "I'm ready to roll" feeling. I'm going to attribute it to the days being a little longer now, and it's not dark at 4 pm! 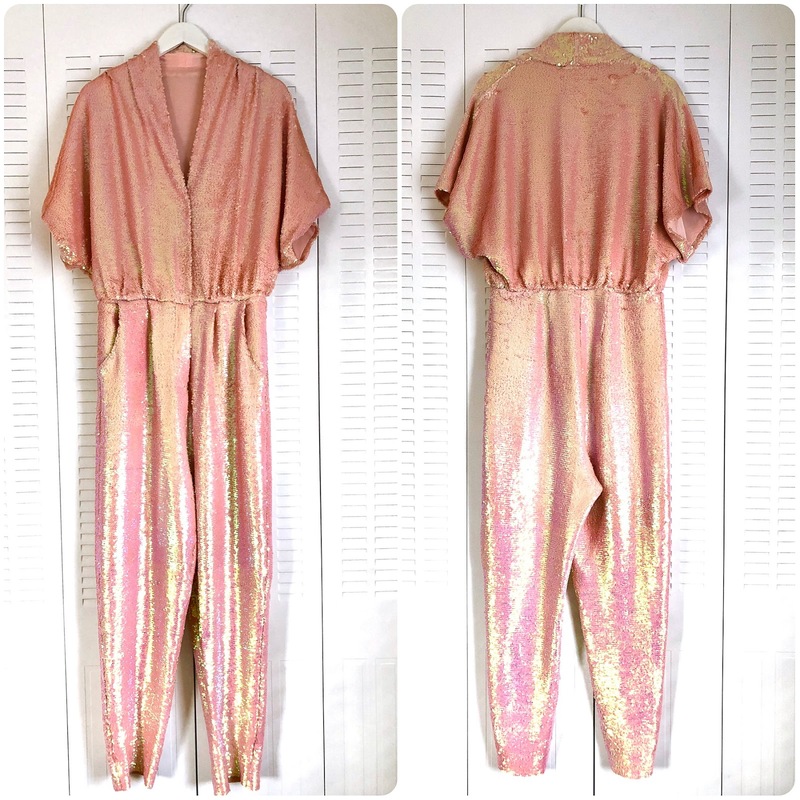 I was due for another jumpsuit in my collection. It's been months since I've made one. So I needed a fix. This one is McCall's 7872. 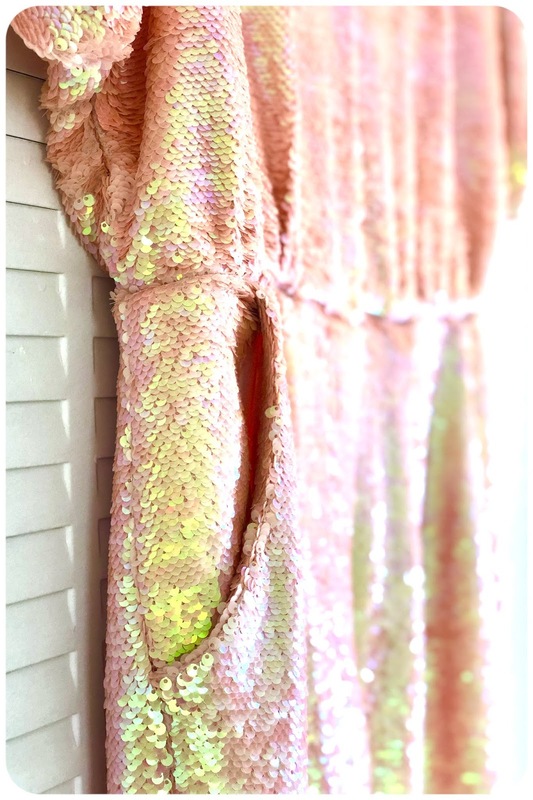 My fabric for this jumpsuit is Dusty Pink Salmon Mermaid Sequins sent to me from Stylish Fabric. 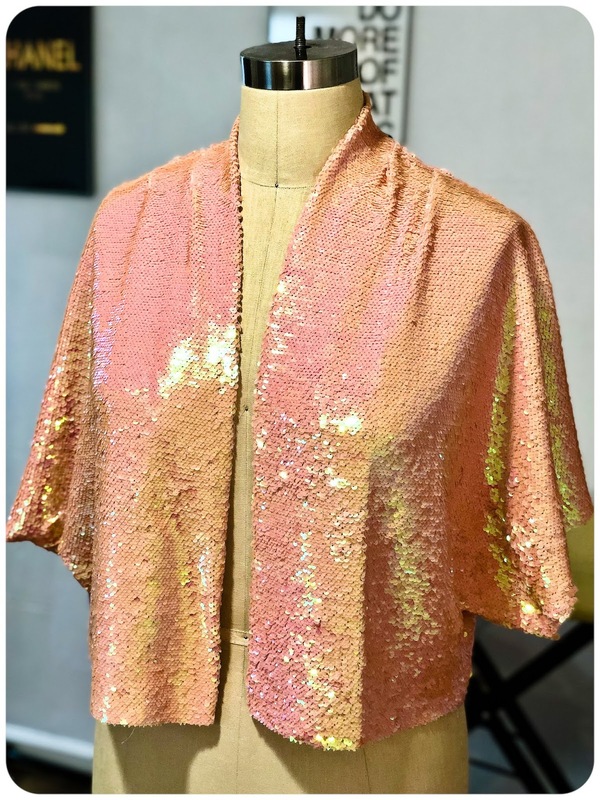 This was my first time ever "tailoring" sequined fabric. But the first thing I knew is that I would need a lining. The bodice has pleated details at the shoulders and cut in sleeves. 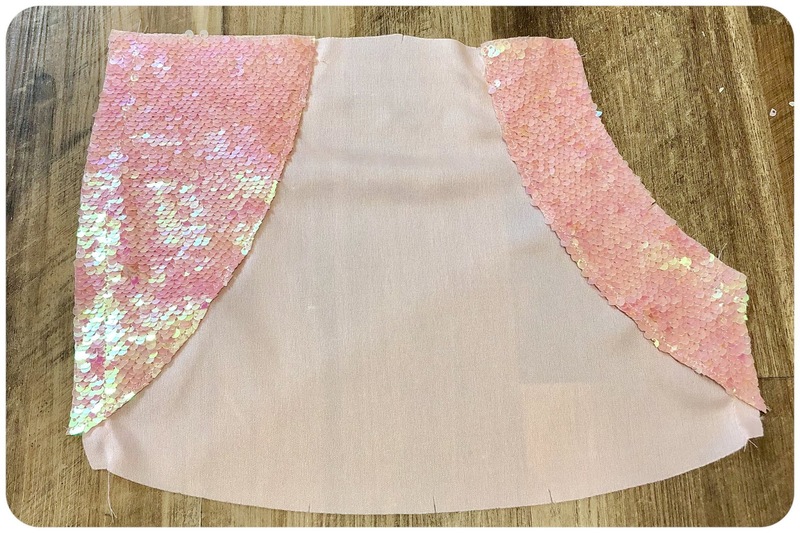 I lined the bodice with Sweet Apricot Interlock Lining Fabric from Stylish Fabric. 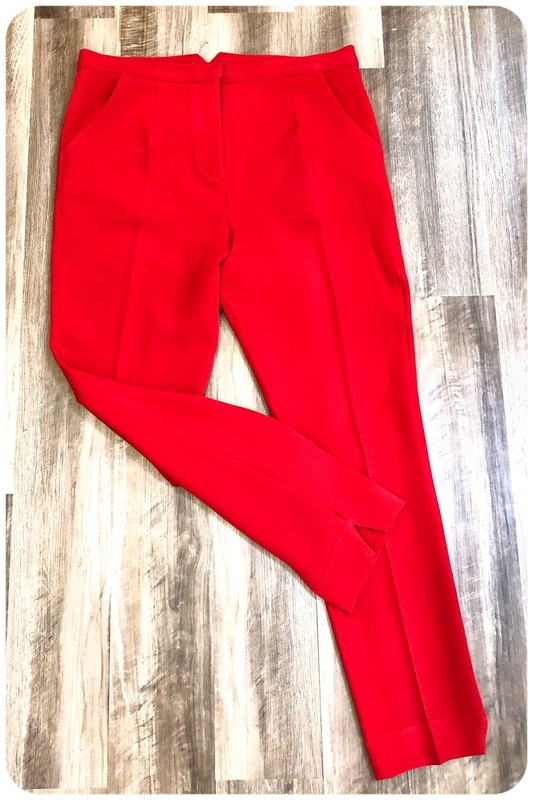 The pants have pleats in the front and pockets. I was really concerned with whether or not the pockets would lay flat. That's why I made the half an inch full tummy alteration. I didn't want them pulling. Here's the pocket after I'd sewn the side and the facing onto the lining. And it also has a fly front zipper. 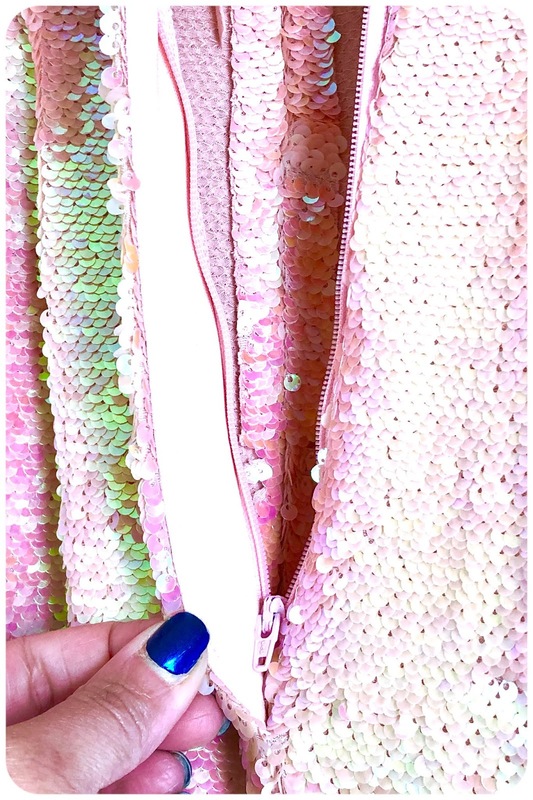 This is my first time ever installing a zipper like this into sequins. The bodice was meant to not have any closures. That wasn't going to work for me and my D cups. So I added a couple of hook and eyes. If I hadn't, this wouldn't have even been wearable. Even though I added 3 inches to the length of the pants, I could've gone a little longer. So I opted to just leave the hem raw. I think that gives the pants a lighter and cleaner finish.